Usher in the year of the Goat, tossing to a year of abundance and prosperity at St Regis Singapore, Yan Ting with 8 decadent festive dine-in set menus, ideal for family, friends and business associates. Yan Ting Lunar New Year Menus will be available from 01 Feb 2015 to 05 March 2015. The lunar new year set menus and exclusive a la carte menu will be served during lunch from 12pm to 230pm, and dinner from 630pm to 1030pm. 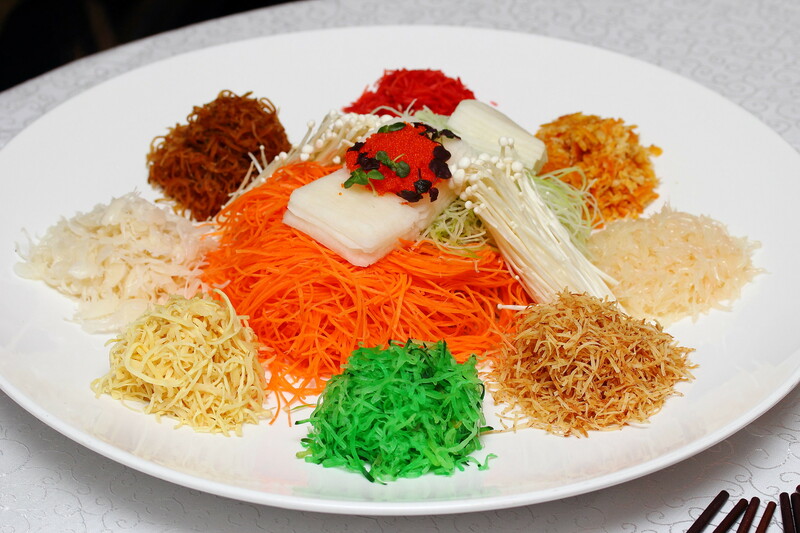 A Chinese tradition for any reunion dinners is the Yu Sheng. 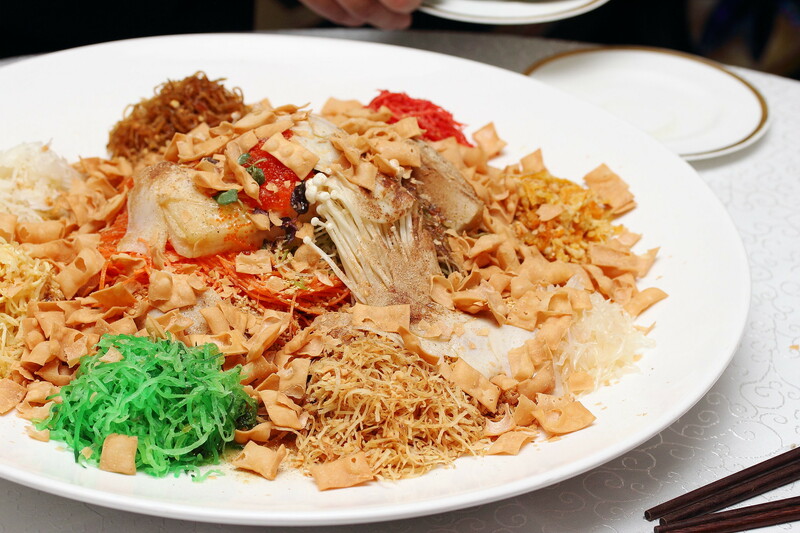 Tossing to a great year ahead is the Prosperity Yu Sheng with Norwegian Salmon and Abalone. Giving it a more refreshing bite is the used of snow pear and adding a zest of passion fruit juice in the plum sauce dressing. 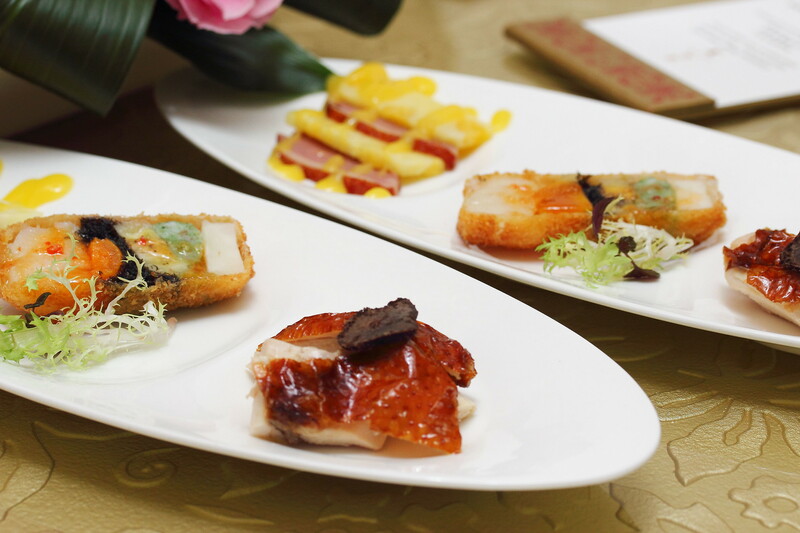 Next up is a Trio of Appetisers consisting of Crispy Roasted Chicken with Truffles, Crispy Prosperity Roll with Scallops, Banana and Salted Egg and Smoked Duck with Pineapple. I thought the platter presented an interesting combinations of flavours which probably has not been done elsewhere. At least I have not tried it elsewhere. Example, chicken and truffle, duck and pineapple combo. The crispy prosperity is another unique creation of scallops, banana and salted egg. The only confusion is how and which end of the roll to start eating. 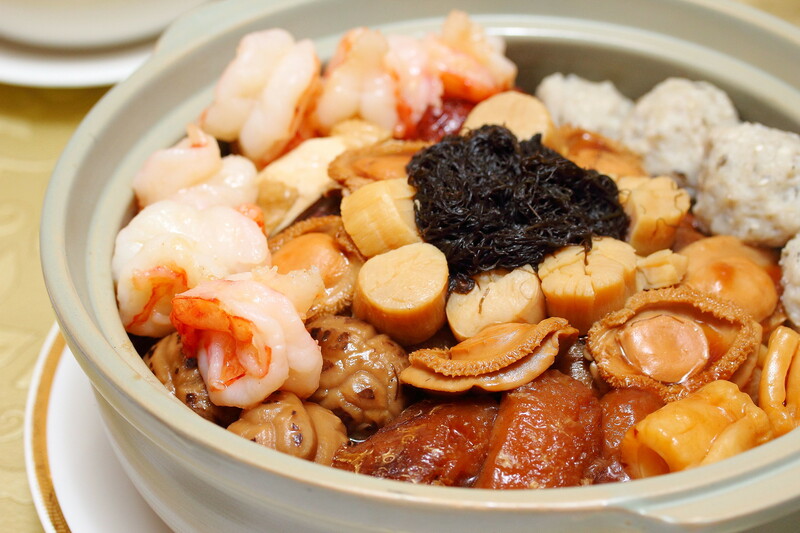 A timeless classic is the Chinese New Year Pun Choy that showcases a luxurious pot of thirteen divine treasures consisting of succulent premium abalones, dried oysters, sea cucumbers and many more. Braised for hours with all the ingredients well infused with the superior broth, this is one of the utmost delicacies in Chinese cuisine. 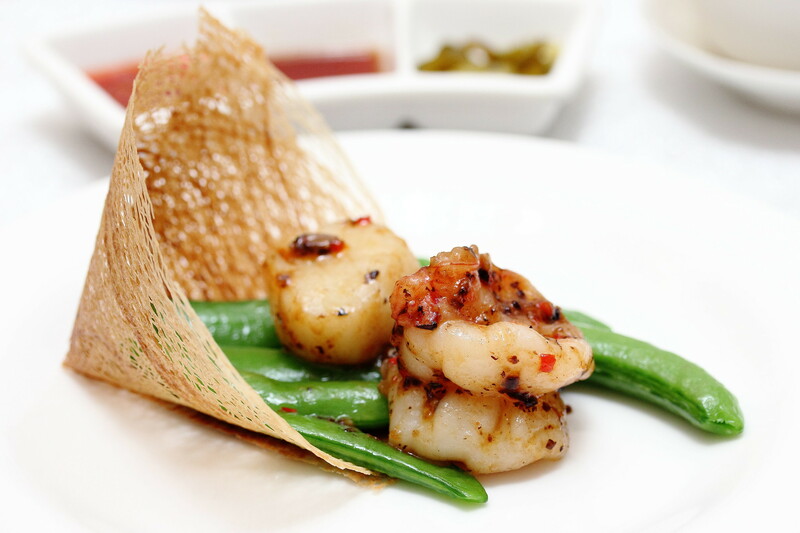 The Sauteed Prawns and Scallops in Black Bean Sauce is another classic combination that will delight most with its crunchy prawn and plump, juicy scallop. A must try will be the Wok Fried Glutinous Rice with Wind Dried Sausages. 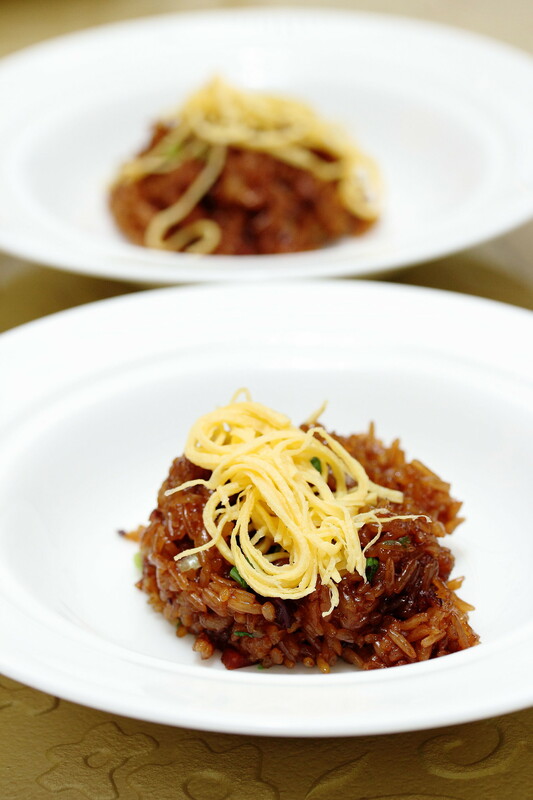 It may look simple but this plate of glutinous is so fragrant and flavourful. The fragrant rice plus the wok fried aroma and the extra crisp on the grains, coupled with the wind dried sausages was just pure delicious. If not that I am cutting down on my carbo intakes, I would gladly have 2 bowls of it. 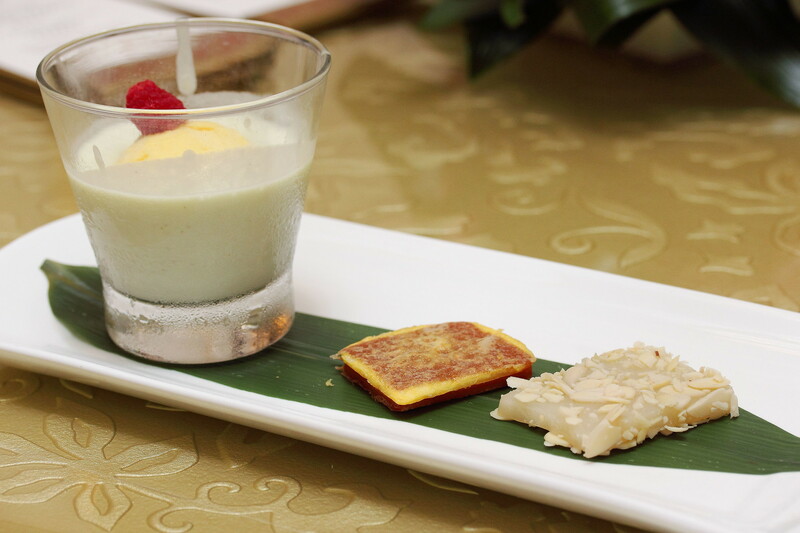 Wrapping up the lavish dinner is the Avocado Sago Cream with Ice Cream and Crispy Glutinous Rice Cake. Mango sago is probably more commonly served in Chinese restaurants. Hence the avocado sago cream is a good chance from the norm. Glutinous rice cake or Nian Gao is commonly eaten during Chinese New Year symbolising raising oneself higher in each coming year (年年高升).